When straight wind storms blew through this year, they brought down hundreds of small sticks from the trees surrounding our yard. We collected these and used them in a campfire. 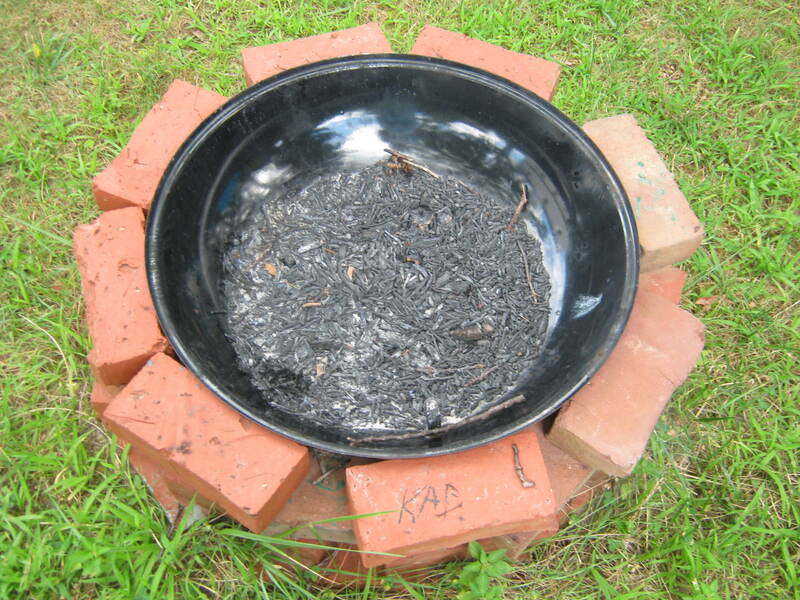 Forgotten, the remains lay in the fire pit and weathered for a few weeks. Oh my! 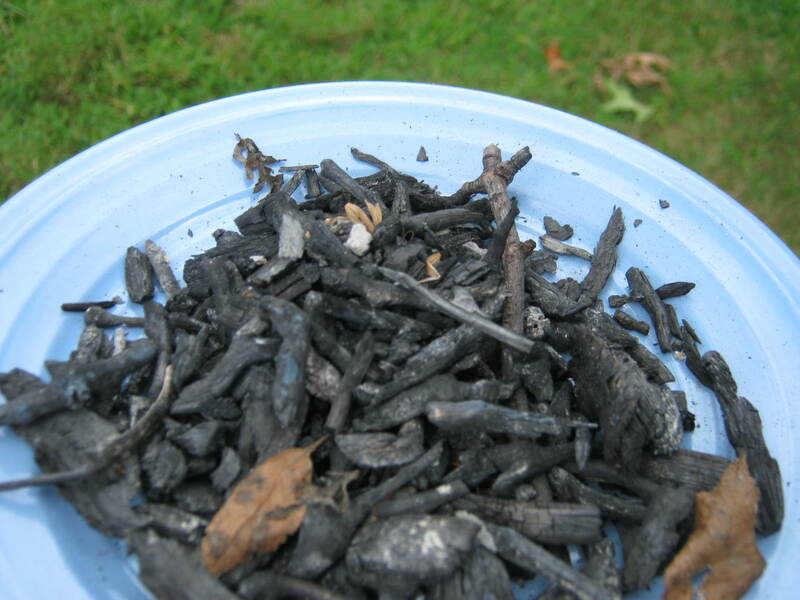 Imagine my surprise when perfect sticks of charcoal for artwork caught my eye. 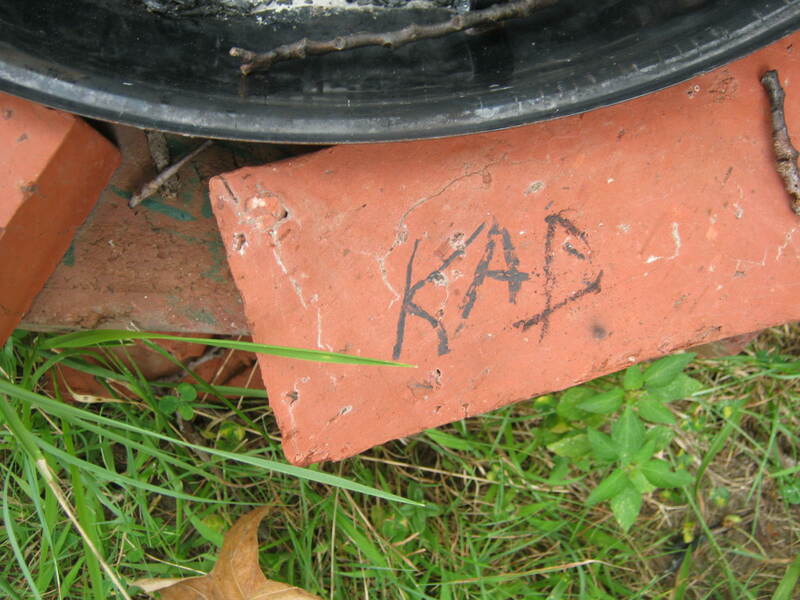 A quick autograph of my initials on the surrounding fire pit bricks assured me they were art-worthy. I collected a good amount and brought them into the house. 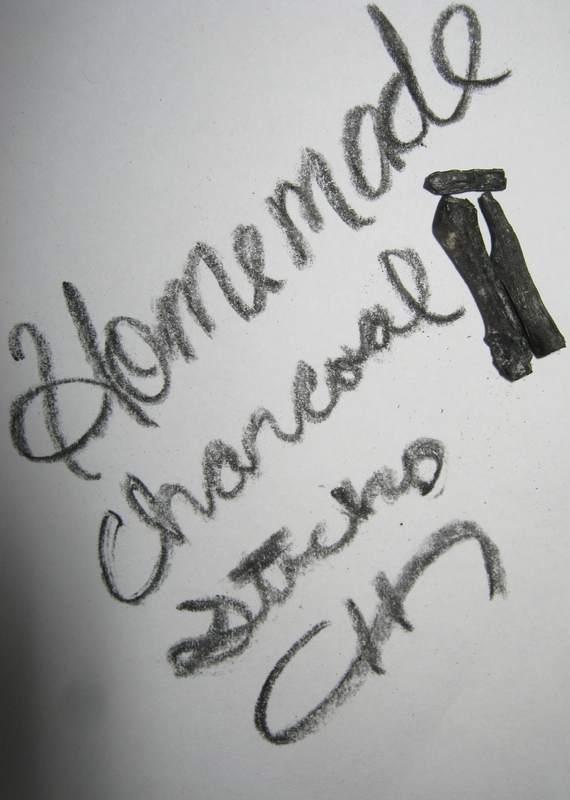 Although I haven’t created art with charcoal in years, I’m eager to give the homemade sticks a try. There might be a bit of frustration involved since the thinner sticks break easily, but hey, it’s an endeavor that won’t cost me more than a sheet of paper. …I enjoyed this post so much, thanks. Sorry it took me so long to reply…fishing day…Fortescue. 🙂 Caught 9 1/2, the 1/2 is one so small we didn’t think it could count as a fish. Terrific Tip! Thanks so much! We were fishing too further down and out just a bit from you. Just saw your photo of Sunset Beach on FB. Pretty. Lol…maybe because I am unusual, but sometimes useful…I love it…Can I use it??? I’m always looking for a good starting point for blog posts. Thanks my friend. I hope all is well and that you have a blessed Sunday. we are fine…vacation time and with the treatments…get behind sometimes! I am always behind…I’ve just come to terms with it lately and realized it is something I just have to accept…I could once move like a whirlwind through tasks…not anymore though.